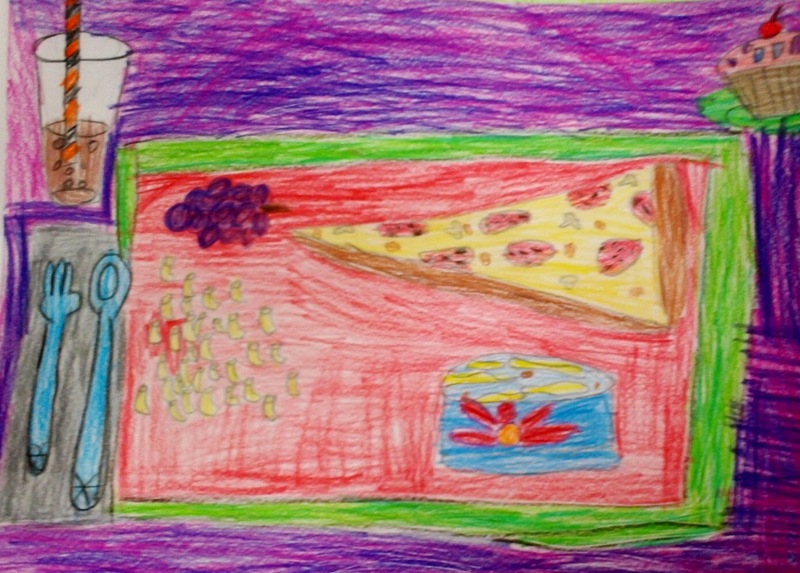 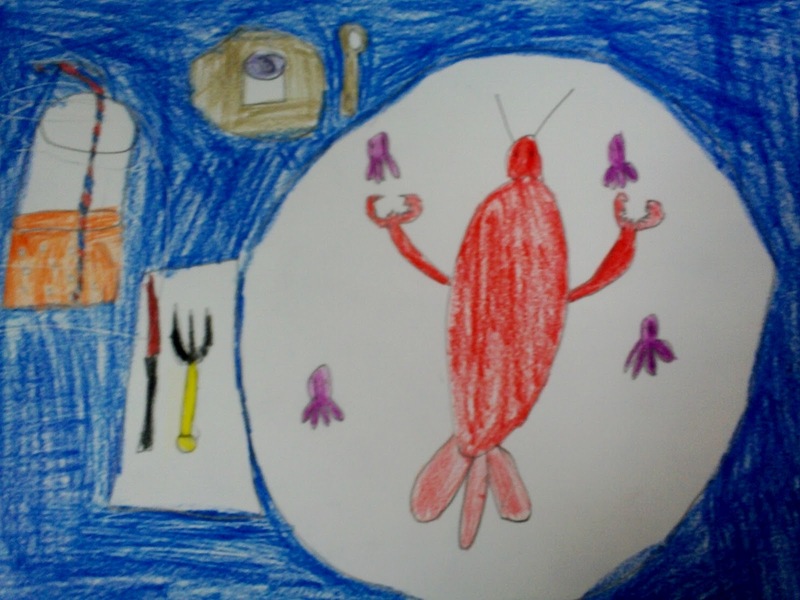 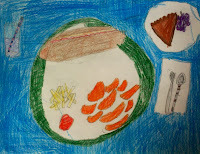 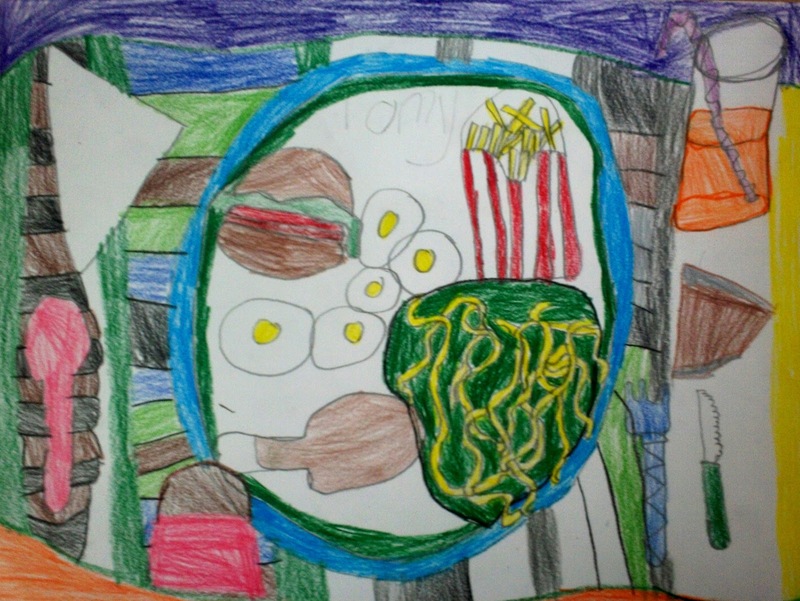 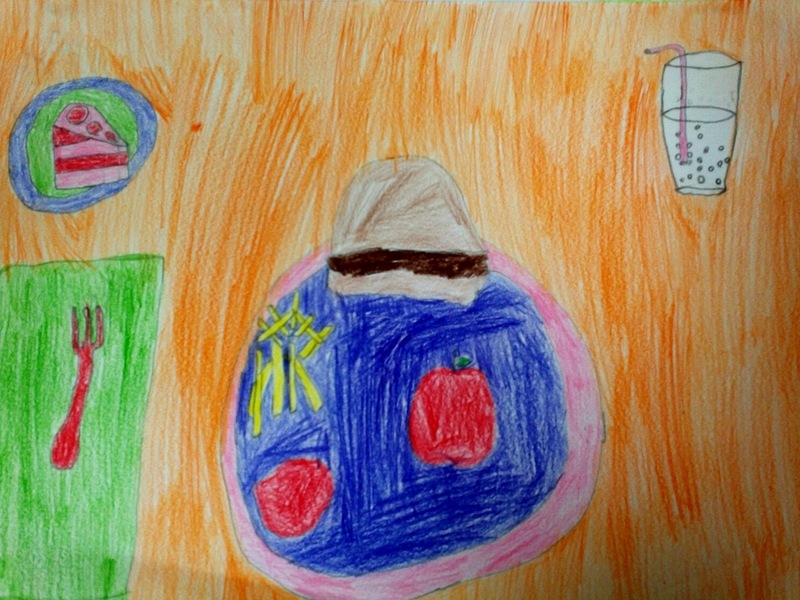 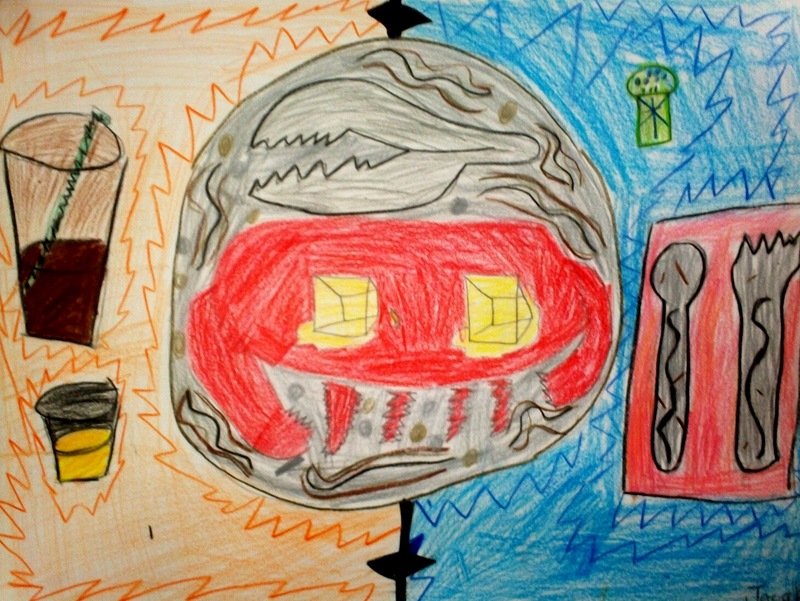 Art With Mr. E: What's On Your Plate? 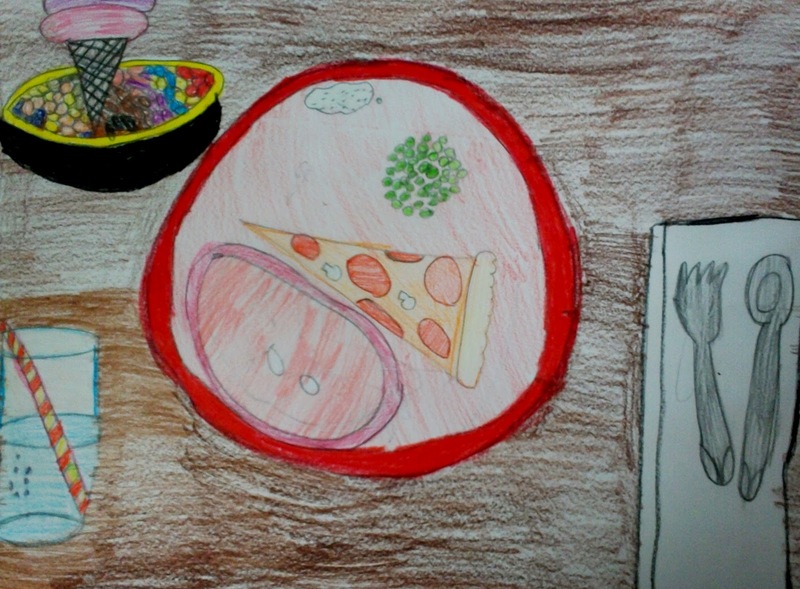 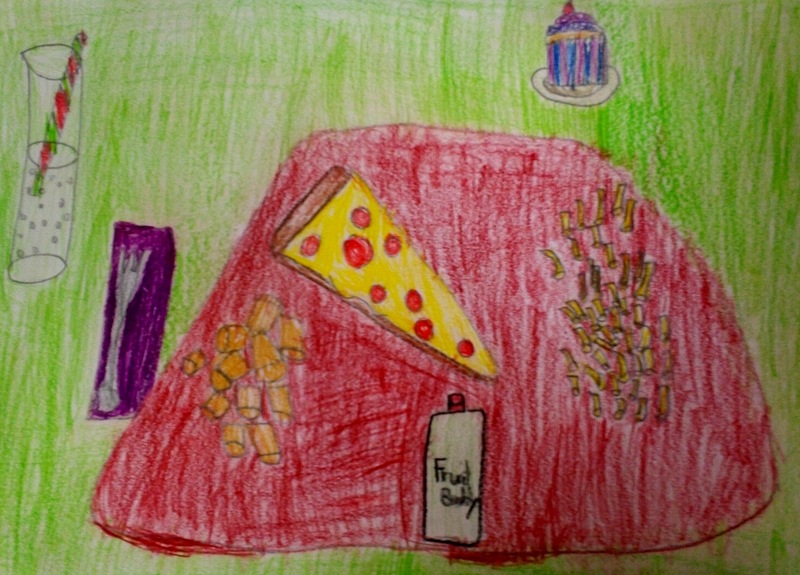 This year for our all school art show we're using the theme of food! 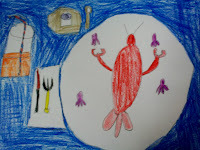 I'm finishing up my other units, and just getting started with the food themed units. 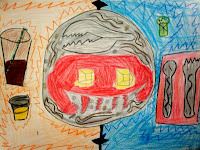 I try to do several projects based on this theme so I have options to chose from for the art show. 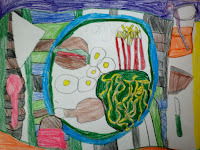 Here is the first project for 2nd grade(which is also the basis for the print they'll be doing in a couple weeks).